You bought the best hearing aids in San Diego, your hearing is as good as it can get now, right? Wrong! There are many additional features, called hearing aid accessories that can be added to your device to elevate your hearing even more. Think of them like attachments for a vacuum cleaner. The vacuum works just fine on its own but when it comes to specific tasks, like cleaning under the fridge, an attachment allows you to clean without the extra work of moving the fridge. 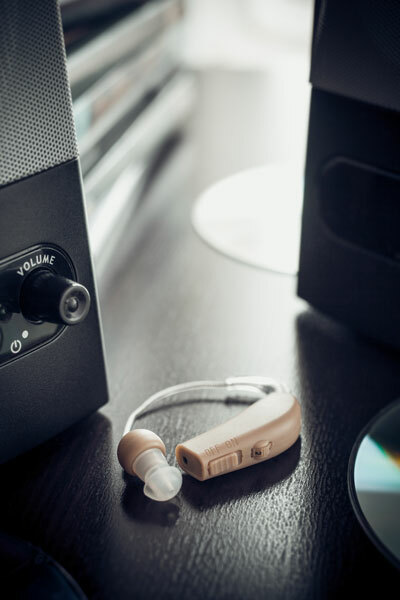 The most popular hearing aid accessories are assistive listening devices (ALDs). These enable you to hear and understand voices better than you could with just your hearing aids, especially in crowded or loud environments. Within all modern hearing aids is a small copper coil that acts as a wireless receiver, called a telecoil (also known as t-coil). This telecoil is essential for any assistive listening device. There are three common listening devices: hearing loop, FM system and infrared. A hearing loop uses electromagnetic energy to transmit sound. The hearing loop consists of four parts: a sound source, an amplifier, a thin wire loop and a receiver. Sound is amplified, converted into an electromagnetic signal and sent through the loop where it is picked up by the telecoil-enabled hearing aid. Since the sound is picked up directly by the hearing aid, it is clearer and contains less distracting background noise. Hearing loops can be found in places such as popular San Diego theaters and conference centers. An FM system uses radio signals to transmit sound. This system is typically used in a classroom setting. The speaker will wear a small microphone connected to a transmitter. The hearing impaired individual wears the receiver tuned to a specific channel. An infrared system uses infrared light to transmit sound. A transmitter converts sound into light and sends that light to the receiver worn by the hearing impaired individual. Unlike the FM and hearing loop systems, infrared cannot pass through walls, making this method of transmission ideal for locations where confidential information is being discussed, such as a San Diego courtroom. In addition to assistive listening devices, there are a number of other hearing aid accessories. Personal microphones can help hearing impaired individuals with one-on-one conversations. The microphone is worn around the neck of your conversation partner. It directly broadcast their voice into your hearing aid without distracting background noise getting in the way. If you are dining with a larger group, the microphone can be placed in the middle of the table to pick up multiple voices. Remote controls are able to wirelessly connect to your hearing aid, letting you change the program or volume without having to fiddle with small buttons. This is just the start of the list when it comes to available accessories. Your San Diego hearing aid provider can help you figure out which ones can help you, based on your lifestyle. ←Why Do You Hear a Ringing in Your Ear?